Fanny Fern was the pen name of Sara Willis, born in Portland, Maine. She spent her youth in Boston, where her father founded a religious newspaper. She seems to have inherited her interest in journalism from him. In 1837, she married Charles Eldredge, a bank clerk; but when he died in 1846, soon after the death of the eldest of their three daughters, she was reduced to relative poverty. In 1849 she married Samuel Farrington, a Boston merchant; they quickly separated. With the need to earn a living, she tried sewing and teaching, and then published a collection of sketches called Leaves from Fanny’s Portfolio (1853), under the name Fanny Fern, that became an instant bestseller. By 1855, she was the highest-paid columnist in the USA, commanding the huge sum of $100 per week for her New York Ledger column. She also had great success as a humorist, novelist, and author of children's stories. In 1856, she married James Parton and the couple lived in a brownstone in New York City with one of her surviving daughters. 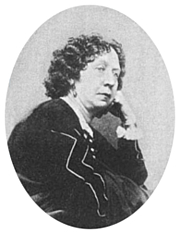 Fanny Fern's fictional autobiography Ruth Hall (1854) has become a popular subject among feminist literary scholars. Fanny Fern is currently considered a "single author." If one or more works are by a distinct, homonymous authors, go ahead and split the author. Fanny Fern is composed of 5 names. You can examine and separate out names.